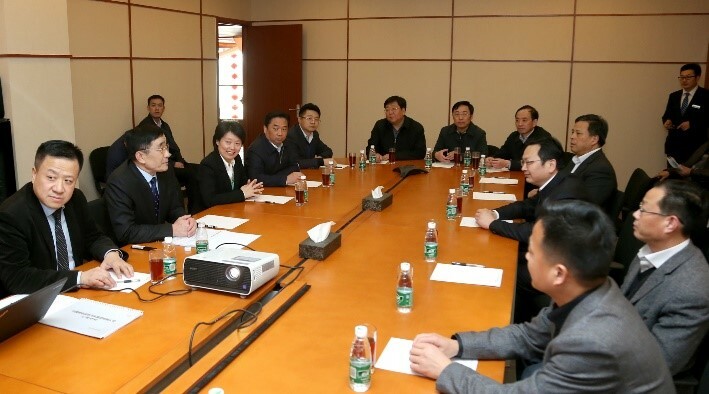 On March 24, 2016, Secretary Municipal Committee of Xuzhou, Mr. Zhang Guohua accompanied by the Municipal Committee, Secretary-General, Mr. Xia Wenda and relevant leaders in City Development and Reform Commission, the Municipal Finance Bureau, the Municipal Planning Bureau, the Municipal Bureau of Commerce and Yunlong District Government came to Greenland Rundong Auto Group Ltd (“Group”) for the investigation. Also, they visited the 4s stores of Jaguar Land Rover, Maserati and Lexus in (Xuzhou) luxury car parks. 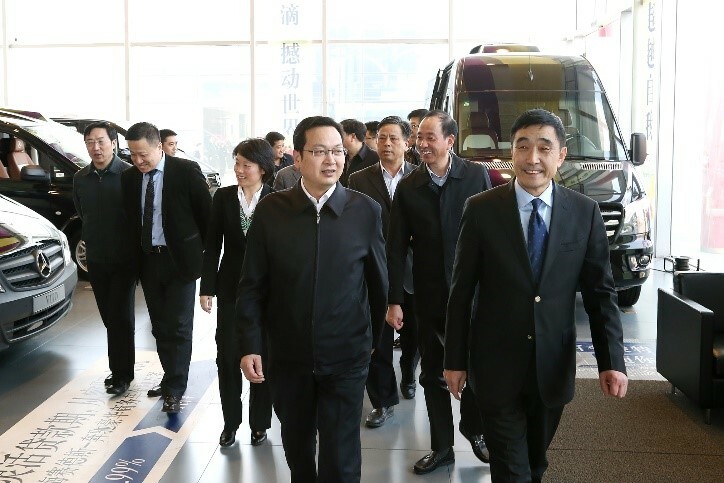 The Vice Chairman of the Group, Mr. Yan Sujian and the Vice President, Mr. Jiang Xiaofei accompanied with the leaders during the inspection tour, they also introduced the operating status of the Group. After the site visit, Mr. Yan Sujian represented the Group made a special report about the development history and vision, long-term strategy to Mr. Zhang Guohua. Mr. Zhang Guohua expressed appreciation for the achievement of seizing the opportunity in rapid development made by the Group, he also showed great interests in auto financing platform and future strategic development plan. Furthermore, Mr. Zhang made ardent expectations and demands after understanding of the implementation steps and the information system. Mr. Zhang congratulated for the achievements of the rapid development made by the Group and expressed the supporting in policy and resources. The investigation ended in a pleasant discussion.